Sadly, the New Year's project is dead, folks. Dead, dead, dead. No one (except me) will be surprised by this news. I shouldn't be surprised. This project was on life support a couple of weeks ago. Joe bought some chicken thighs, re-packaged them and sneaked them into the freezer. His fatal flaw was that he didn't get rid of the evidence. I'm sure the chicken will be happy living in our freezer alongside an entire pig's leg, four big boxes of duck legs and a myriad of other things that have been residing in there for a while. I admit defeat. I did my best to relieve this house of the mountains of food that reside within its walls. But I lost the battle. Joe gave up on my food project to focus on a newer one; securing wood for his yet-to-be-built pizza oven. Remember this from two weeks ago? His good fortune at stumbling across 3 felled maple trees in our back field? 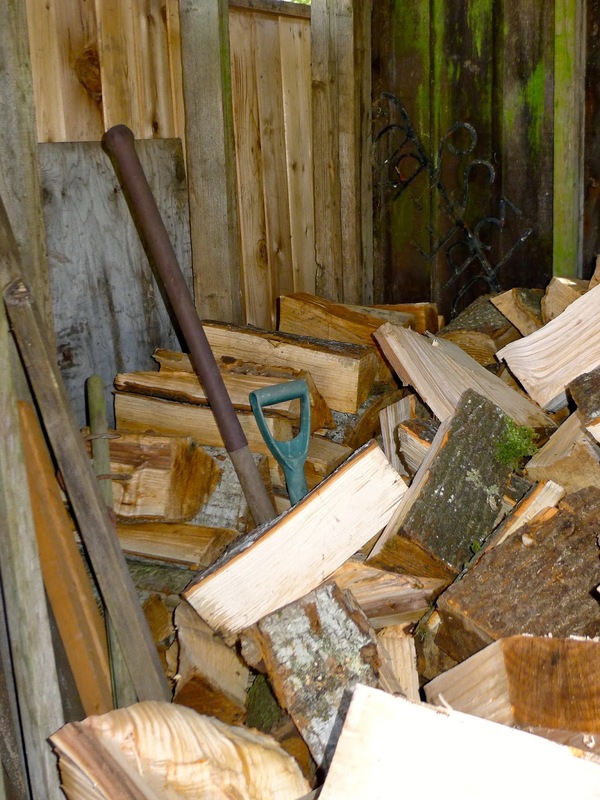 How he told me he was so motivated to chop the logs and stack them in our woodshed for his beloved oven? How he told me not to worry about the logs all over the lawn because the wood was going to be off the grass by the end of that day? HE WAS SO MOTIVATED! And why finish a second project when you can begin a third? Joe pushed the pause button on the chopping-wood-for-the-non-existent-pizza-oven project to work with our neighbour to replace the fence that divides our properties. Thank goodness for our friend Dan! He offered to chop the last remaining logs for Joe. My husband was so grateful for the help, he has given Dan free pizza for life! When the pizza oven is built, that is. The wood did get stacked at the beginning, but things deteriorated towards the end. 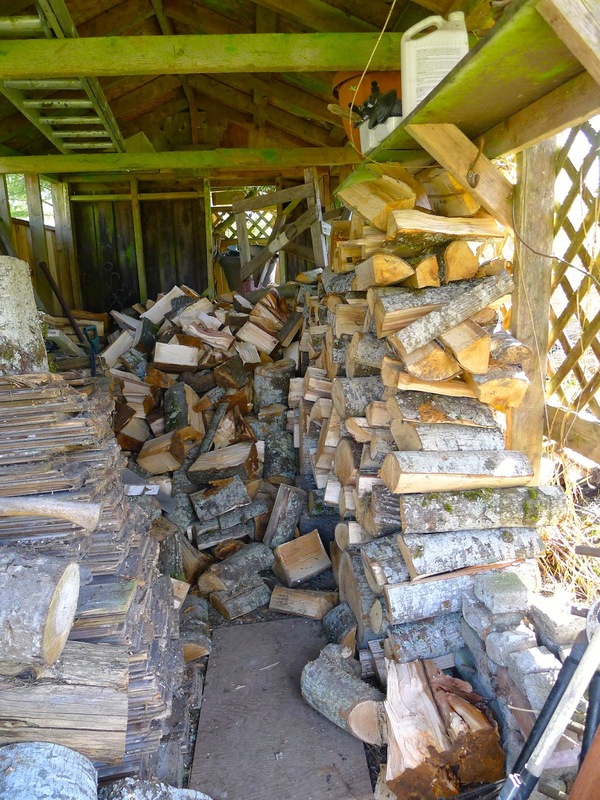 As Dan chopped, Joe flung the wood hither and thither into the woodshed. The woodshed in its current state. 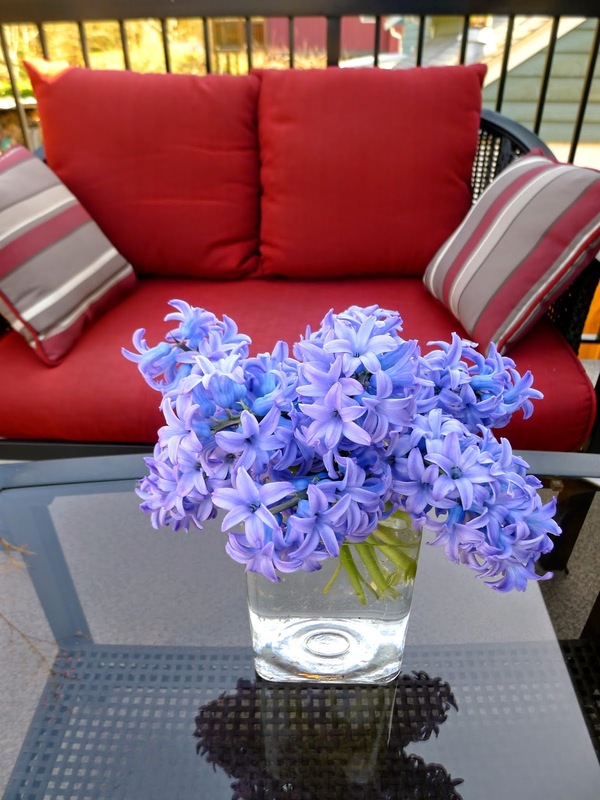 And in other breaking news, spring has definitely sprung! So THAT, my friends, is how things stand around here. More food, more wood, more fence, more adventures.